The light bulb letters are all 5ft tall (1.5m) with a maximum width of 110cm, and 17cm deep (or 60cm deep to include the Perspex feet to stabilise them). What words can I spell with the letters? You can hire individual letters for £75 each, meaning you can spell just about anything. We also hire numbers at the same price. 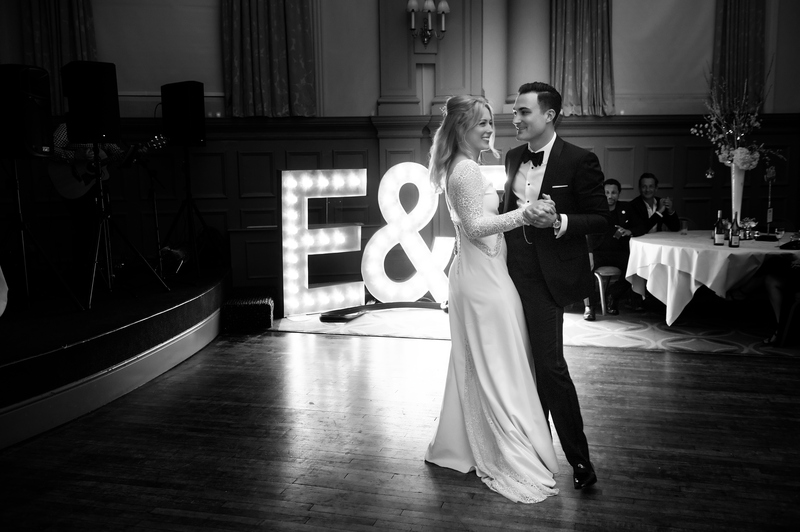 The words ‘LOVE‘ and ‘MR & MRS‘ are available as a package, as are wedding initials (e.g. A&C), and can be purchased on the booking page. Are they safe/do the light bulbs get hot? Yes they are very safe! We use cabochon lighting which does not heat up like normal lightbulbs, so our lighted metal signs and illuminated numbers are completely safe. They’re individually wired and fully PAT tested for your safety. I want to put the light up signs outside – is this possible? Yes! Our prop hire products function outside, as long as they are placed undercover and kept dry at all times. They cannot be left outside in wet weather under any circumstances. Yes, we offer a fully inclusive delivery and installation service, and we collect them after your event, so you don’t have to do a thing! We deliver our products anywhere within Great Britain. Unfortunately we can’t ship overseas. Please note that delivery and collection charges will vary depending on travel distance from our premises in Hertfordshire. How long can I hire the letters and numbers for? 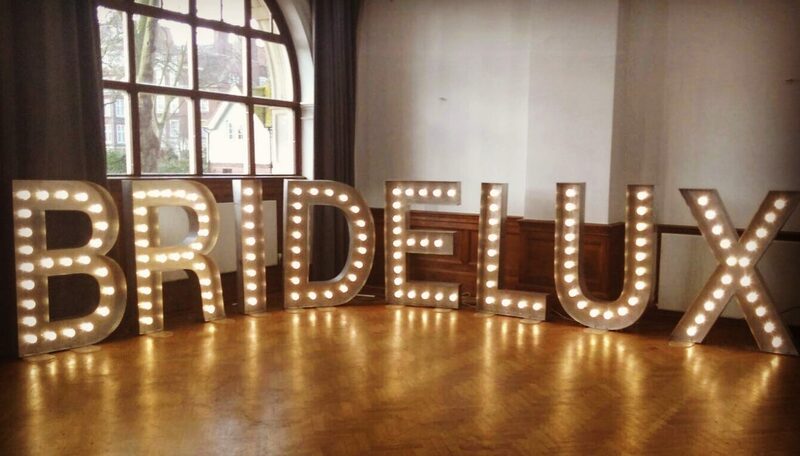 We usually deliver the marquee light bulb letters to your venue on the morning of your event and collect them from your venue the day after. Sometimes we may need to deliver them to your venue the day before the event to ensure that you get them on time. Please note there may be a supplementary charge for night-time collections, but this may vary depending on location and time of year. If you need the giant letters/numbers for a longer period of time, please request this when booking (charge incurred). 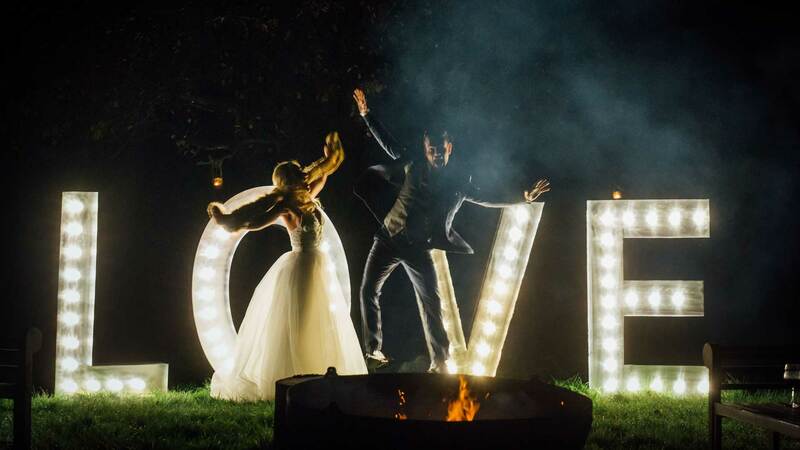 Yes, due to the popularity of the fairground style lights, we do require a booking deposit to secure them for your date. 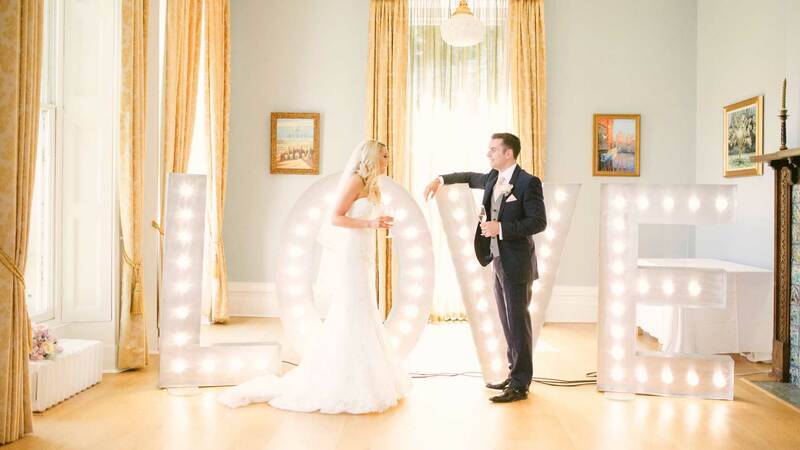 We ask for a 25% non-refundable deposit to be paid when you book your metal letter lights with us. Unlike other companies, we DO NOT ask for a security deposit. What do I need to be aware of on the day when using the lights? Each letter bulb light is individually wired and comes with a 2m power cable. We also supply a 3m 4 point extension lead to power each letter from one socket. 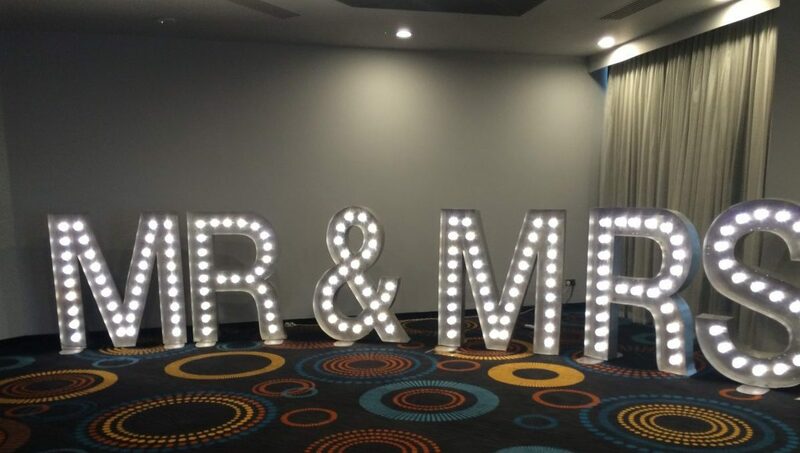 The giant, freestanding letters and numbers are hand-crafted in the UK from aluminium, so they are light to move should you wish to use them in different locations during your event. No, they’re surprisingly light and can be easily moved around your venue. Where should I place the letters? 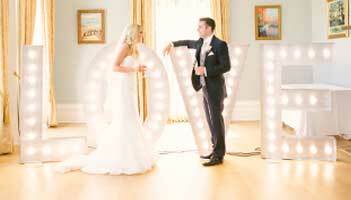 The light bulb letters are designed to be placed against a wall or backdrop. This is for the safety of your guests – also, the reverse side of the lights doesn’t look as pretty as the front! Are your letters PAT tested and insured? Yes. 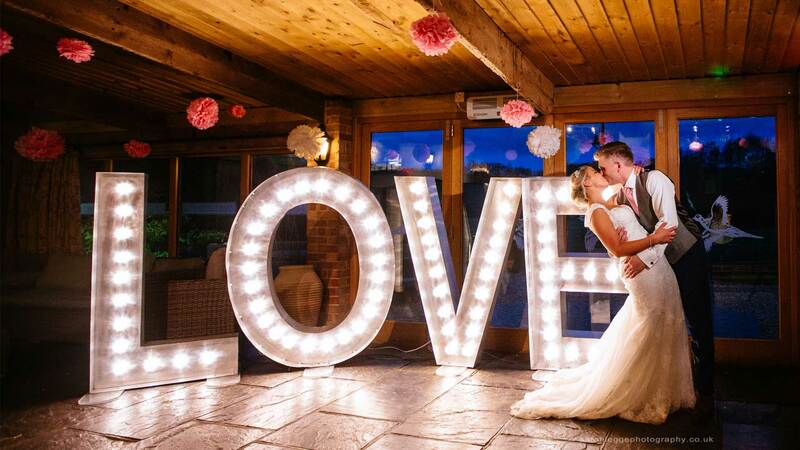 All of our letters are fully PAT tested and Wedding Letter Hire are also fully insured. We are happy to send copies of our documentation to your venue if required. 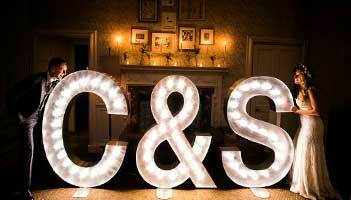 We are an award winning, professionally run company and have been supplying illuminated letters since 2014. Can you offer coloured bulbs? Absolutely! We can match pretty much any colour theme – just let us know at the time of booking. Please note a £50 supplement will be added to booking for coloured bulbs (based on wedding initials or LOVE letters – this amount may be higher for longer words). As it’s my big day, and I want everything to run smoothly, how will I know my props will turn up? As mentioned before, we are an award winning, professionally run company, trading since 2014, offering a fully insured product. We always provide you with a full legally-binding contract which protects you. 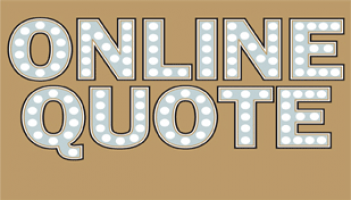 For more information about light bulb letters or a light bulb number signs, contact us today!